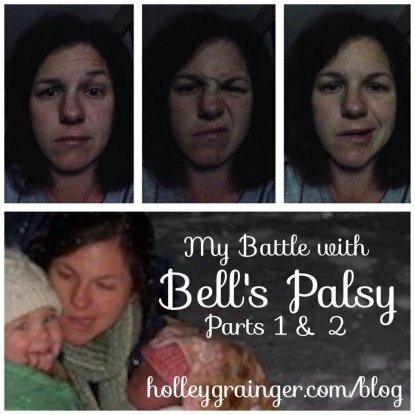 Yesterday, I shared insight and a bit of the story surrounding the onset of my Bells palsy and diagnosis in the post, My Battle with Bells Palsy: One Year Anniversary Parts 1 and 2. With the exception of some side thoughts interspersed here and there, the entire post was written back in June 2014. This post and the others moving forward will be written in the present. I finished my last post by leaving the ER in the middle of the night with a looks like a nice case of Bells palsy diagnosis and completely terrified. The next morning, I reached out to my OBGYN, Dr. William Johnson of OB/GYN Associates of Alabama and they worked me in immediately. I credit Dr. Johnson for his wisdom and insight to immediately start me on a round of antivirals and steroids while we explored what to do next. While there is so much unknown about Bells palsy in the scientific literature (trust me, Ive done extensive research) and there are many conflicting recommendations about treatment, one thing that I have read time and time again that seems to be unanimous is that antivirals and steroids administered within 72 hours of onset have the best chance of nerve regeneration. I started mine around hour 20. (Otolaryngol Head Neck Surg. 2013 Nov;149(3 Suppl):S1-27. doi: 10.1177/0194599813505967). Thank you, Dr. Johnson, for knowing to start me on these meds! 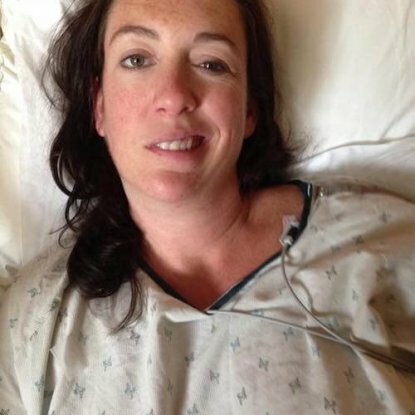 After talking to friends diagnosed during pregnancy or immediately after, their OBGYNs didnt know to begin these medicines and their recoveries took much longer (and some did not fully recover). Now, for those of you who have had children, you probably remember the sweats that come for the next week or two after giving birth. Couple those sweats with the ones that come from the max amount of steroids someone can take and I was literally living in a puddle of sweat day in and day out. I remember waking up multiple times in the middle of the night to change my pajamas and having to change the sheets every day because I was so sweaty. As a positive, it did help get off some of the fluid from the high blood pressure and edema that I experience during and after pregnancy. Thankfully, despite my super sensitive hearing, I passed every hearing testa positive for each visit. Dr. Rodgers also taught me how to use thick eye drops during the day (versus traditional Visine), Refresh Lacri-lube at night (a very thick ointment) and how to tape my eye shut at night. On top of taping it down, I would tape a square of gauze over the eye to protect it. NOTE TO THOSE WITH BELLS: Do not tape gauze to your eye when your eye wont shut. The gauze can scratch your cornea. Make sure to tape the eye shut first. I will forever be indebted to my friend, Amy, for bringing me rolls of the soft 3M tape and relieving me from the pain of removing paper tape (and eyelashes) each morning. One thing I have failed to mention at this point is the fact that I was breastfeeding my newborn through all of this. However, a HUGE recommendation of Dr. Johnson, Dr. Rodgers, and my friend and Bells palsy mentor (for lack of a better descriptor), Rachel, was that I absolutely needed rest, stay as stress free as possible, and sleep for the facial nerve to heal. So, this begged the question of how was I supposed to be up all day and night pumping or nursing when I was supposed to be sleeping. Another huge question was whether or not the strong medications could have a negative effect on Frances. 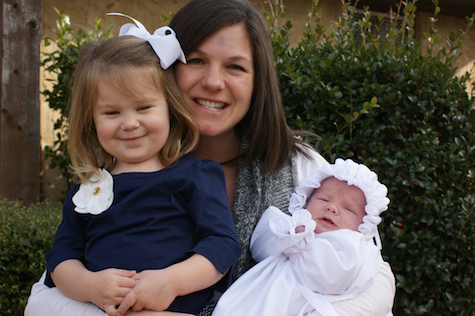 After consulting just about everyone known to man including the three people above, her pediatrician, and the lactation consultants at the hospital, I made the very difficult and emotional decision to quit nursing. While all parties felt like the meds and nursing would be okay, they all also agreed that rest and healing was crucial so that I could be the best mom for my children. Once I made the decision to quit, I felt a huge weight lifted. Frances was just as happy with formula and I was able to spend my awake time playing with her and Ellie and not chained to the pump. It was a ROUGH few days making the call on whether to push through or quit but in the end, I feel certain that not having the extra strain on my body to breastfeed and the extra time spent resting played a huge role in my healing. 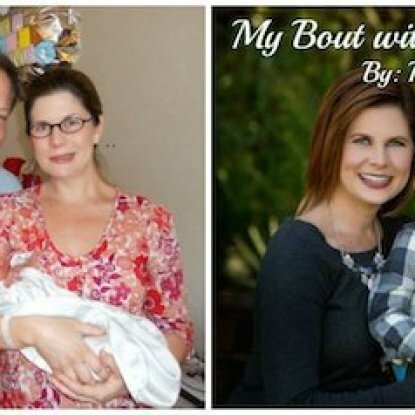 Even though this post is getting long, I would be remiss if I didn’t acknowledge the help, love, and support of my husband, Brent, our families, especially our parents, and our night nanny for 10 nights (aka the baby whisperer), Carla Jordan. Everyone pitched in to take care of the girls, bring meals, wash and clean, provide emotional support, drive me to doctors appointments, and babysit just so I could sleep. Ill share more about my trip to Atlanta to be evaluated by the last remaining person pictured above, Gaye Cronin, OTD, OTR at the Atlanta Ear Clinic tomorrow but I wanted to go ahead and share her name since she was an integral part of my team and I would HIGHLY recommend anyone newly diagnosed with Bells or still suffering from paralysis or other side effects to be evaluated by her. She was such a positive and energetic clinician and I am so thankful that I was able to get in to see her. A HUGE thank you to all of you who have shared your stories on my Facebook page. If you haven’t had a chance to read them, please check out the stories…they are very inspiring. If you would be willing to share your journey on my blog, please email me (holley@holleygrainger.com) so we can work together to craft a post. When I was newly diagnosed with Bells and did a google and social media search to find out more information, what I found was discouraging and not very robust. I would love for the blog to serve as a place of inspiration for those experience such a scary time. Feel free to share and pin these posts and pictures to help spread awareness about Bell’s palsy. As you’ll read in upcoming posts, starting the right meds immediately is one of the keys to regaining facial nerve regeneration and, hopefully, movement. *Disclaimer: Please note that as a registered dietitian I have extensive background in researching, reading, and interpreting scientific literature. However, the information that I share about medications, therapy, etc. is based on my own experiences and should not be used to self diagnose or self treat. If you have Bells palsy or think you may have it, please seek a medical professional. This information is not intended to replace the advice of a doctor. Holley Grainger Nutrition, LLC disclaims any liability for the decisions you make based on this information. Holley… I can’t believe all this happened. Way to be a fighter mama! I will be sharing this story with anyone who could benefit. Oh Holley, bless you for being so open and honest about this experience. What a scary and emotional time — especially with a new baby! I know so many people will be grateful to hear your candid & detailed experience. I am so thankful for you that you had such a fabulous team and support system! On August 4, 2013, on the day of our youngest daughter’s wedding, I too began my journey with Bells Palsy! Mine was not just plain palsy! Nope not so lucky! Shingles in the roof of my mouth, landing on the 7th facial nerve, resulting in Bells. 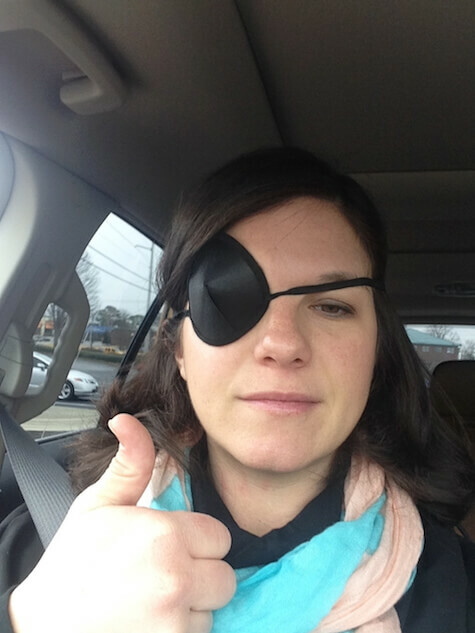 I taped my eye closed every day and night for six months! Untold pain and frustration! Let me say that again….untold pain and frustration! My one yr. anniversary saw me much better but the neuropathy lingers . Having a pacemaker made having the electrical stimulation impossible . Prayer and lots of facial messaging weere certainly my best friends along with a wonderful husband who was an angel! Thanks for bringing this dreadful disease to light! I do know I am one of the lucky ones since my face is nearly normal most of the time! I am so sorry to hear this and I appreciate you sharing your story. How terrible and scary that all of this happened to you–and on your daughter’s wedding day no less. I’m so thankful that your face is nearly normal and will pray that it will continue to improve quickly. How wonderful that your husband was there with you along the way. I’m so thankful that mine was as well. Please continue to keep me posted on your progress! Hey Kristina! I’m glad we were able to connect on email. Stay positive. I’m encouraged by your upcoming Dr appts. Please keep me posted.